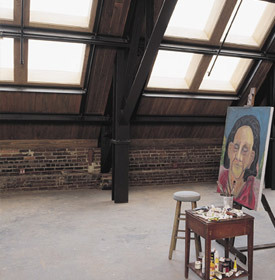 VELUX Skylights are constructed for out-of-reach installation. VELUX Skylights bring more than just light into your home. Skylights make any room feel more spacious, lift spirits throughout the seasons and offers some intriguing design possibilities. VELUX Skylights also provide additional comfort through a choice of Comfort Low-E insulated glass or ComfortPlus Low-E, laminated insulated glass. 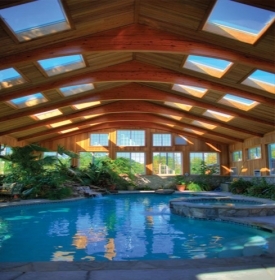 The unique Low-E coating allows for maximum light and views while protecting against heat gain and UV rays. For durability, weathertightness and energy efficiency, Velux Skylights are quality constructed with a select wood frame and a gasket system to drain any condensation to the outside. Velux Skylights also feature a streamlined exterior with a smooth, low-profile that does not obstruct your roofline. There are many sunscreen options available, as well as electric operation. You get all of that with Wasco skylights. From our advanced E-Class and quality Curb-mount skylights, our spectacular Architectural Series, to our SkyTube tubular skylights - all in standard as well as custom sizes - there's a Wasco skylight to suit every budget, every design, every lifestyle.